Happy Independence Day! - Quick Update! As most of you know, I have been working in the states (Washington DC) while Pam has been working in Sydney, Australia. We have been in a bit of a holding pattern as we each feed the cruising kitty and Pam considers her options for continuing the voyage after her unplanned eye surgeries this year. Unfortunately her vision was not greatly improved by the last surgery, but it looks like her vision loss has been stabilized and this is a very positive result from the surgery. As for the Blind Circumnavigation, I will for sure carry on, though Pam may support the sail from a strategic, planning, and administrative capacity. 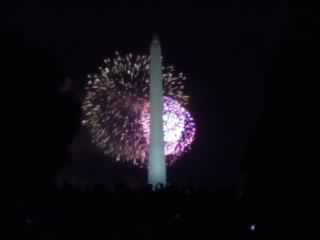 Attached is a photo from the Independence Day celebration in Washington DC.